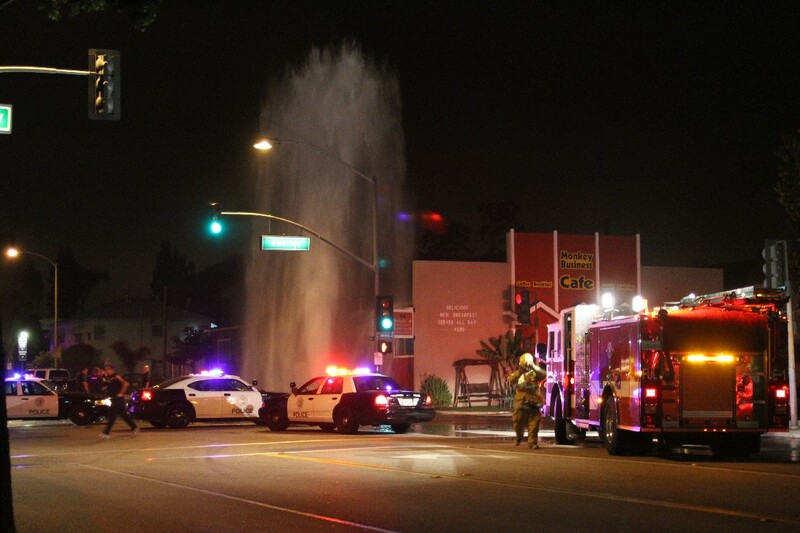 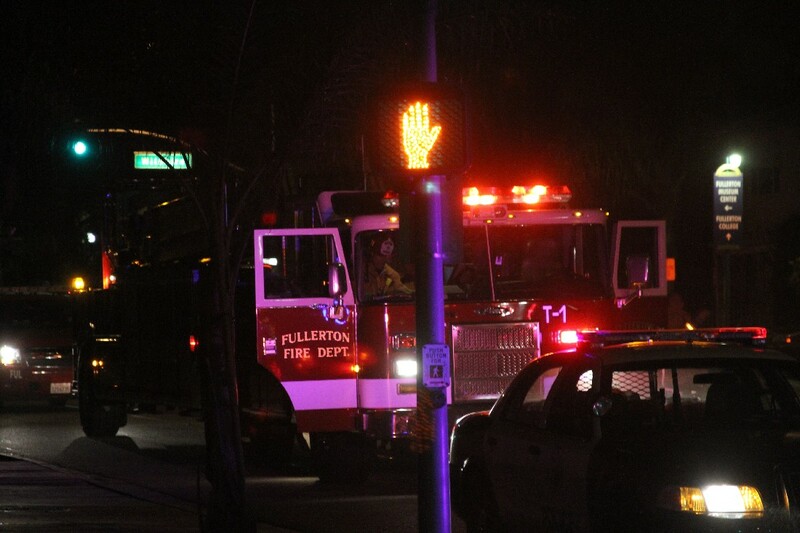 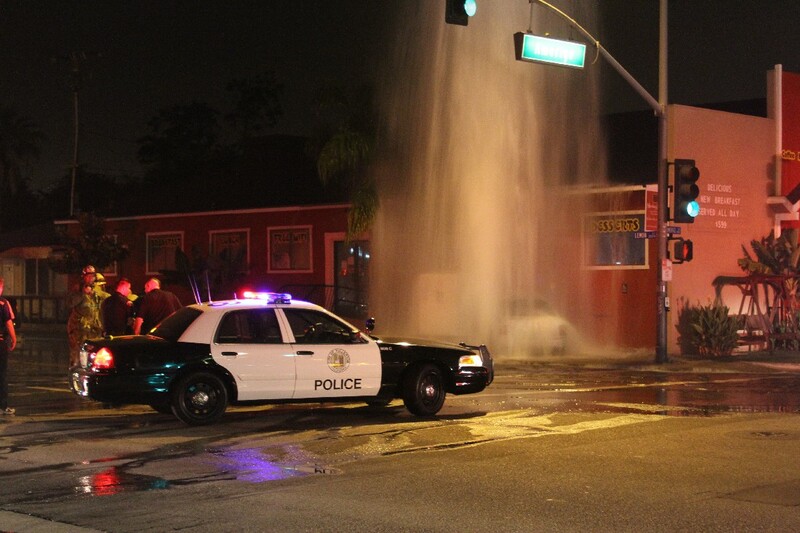 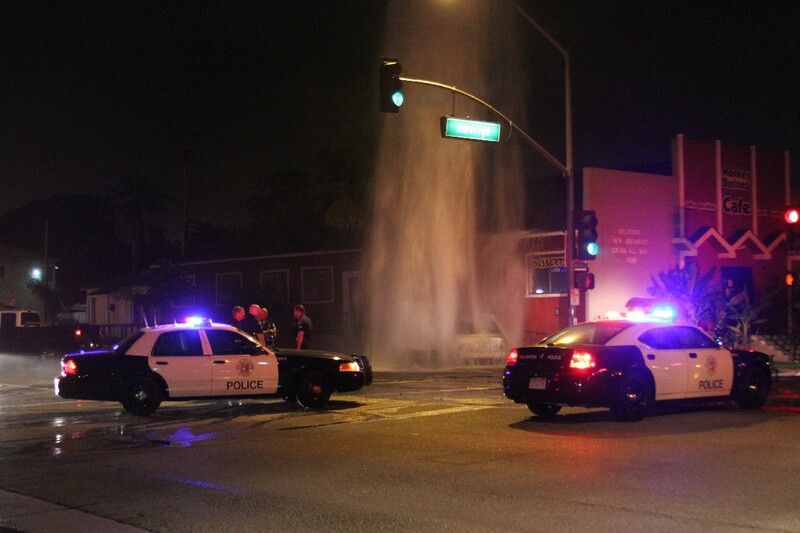 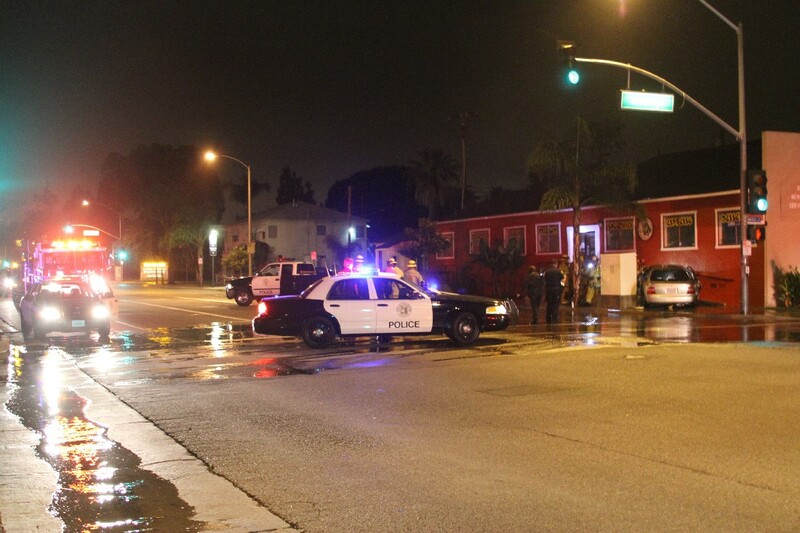 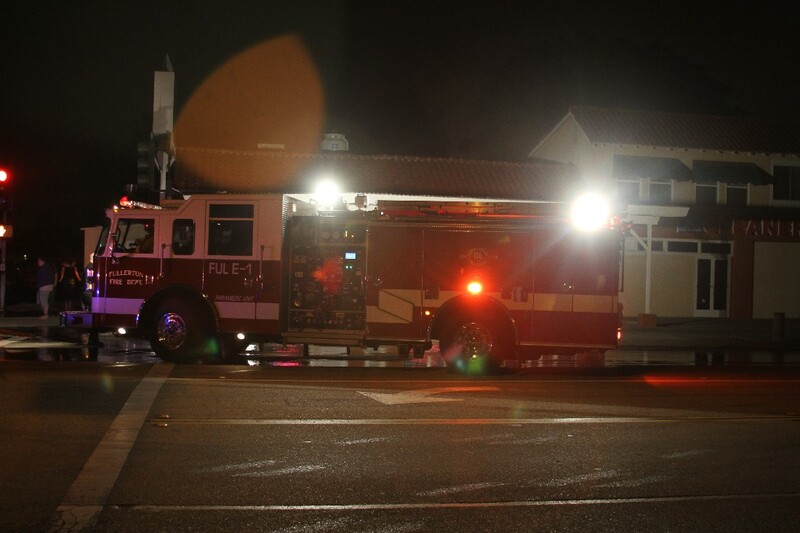 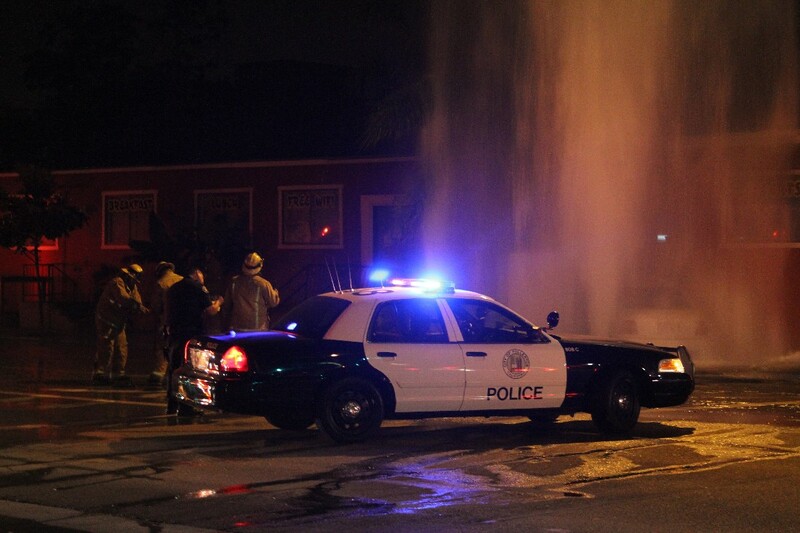 Fullerton, CA – A driver plowed through a fire hydrant Saturday June 12th around 1:20 AM at the corner of Amerige and Lemon. 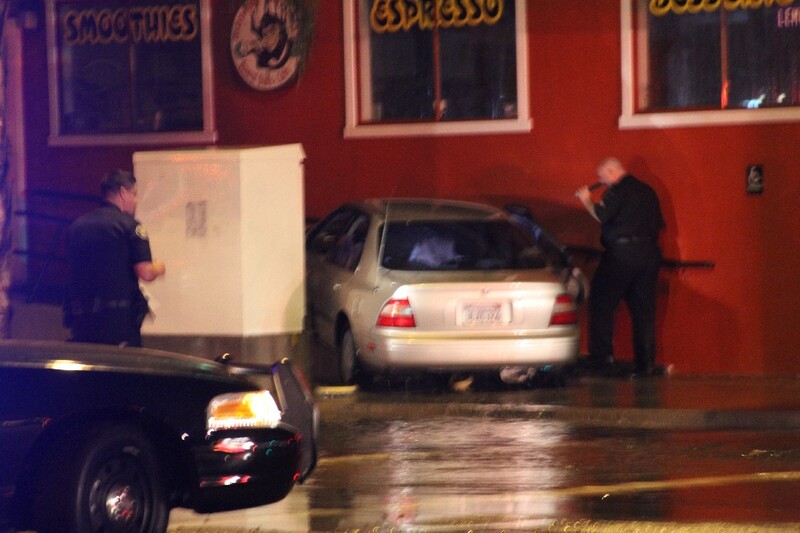 The car then hit a ramp into the Monkey Business Café. 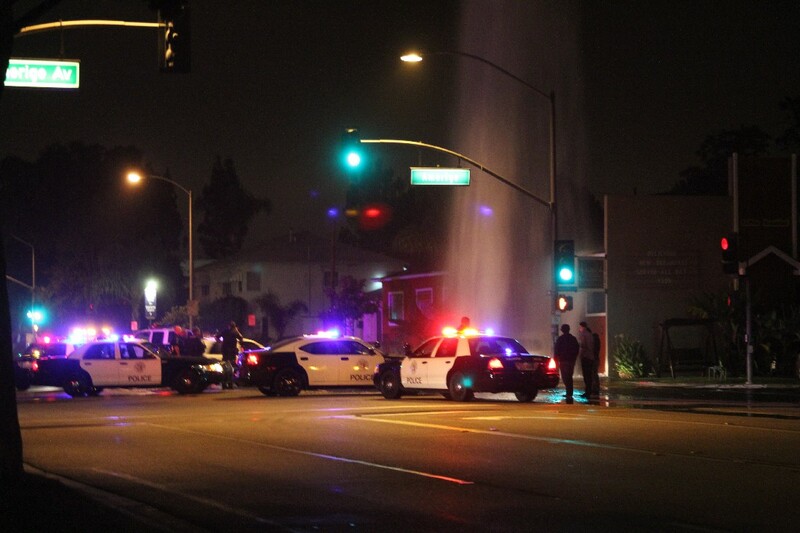 Water shot 4 stories in the air and sent water flowing through the intersection. 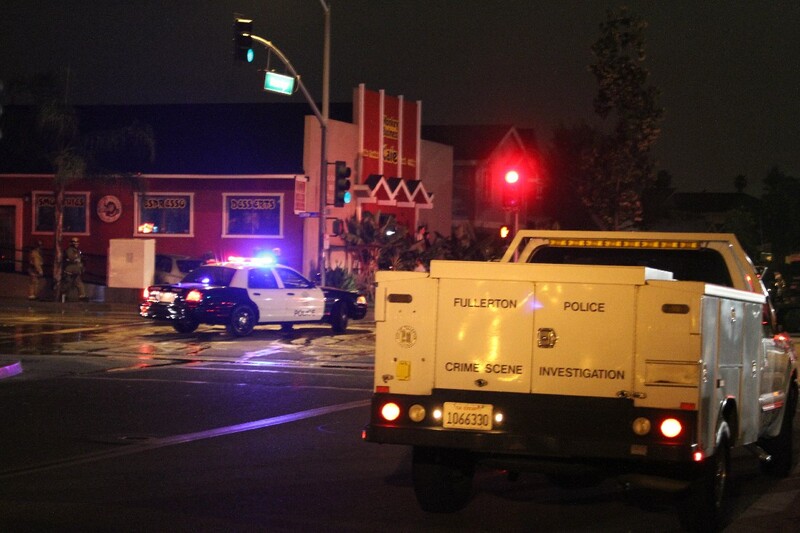 Fullerton Police Department and Fullerton Fire Department responded immediately. 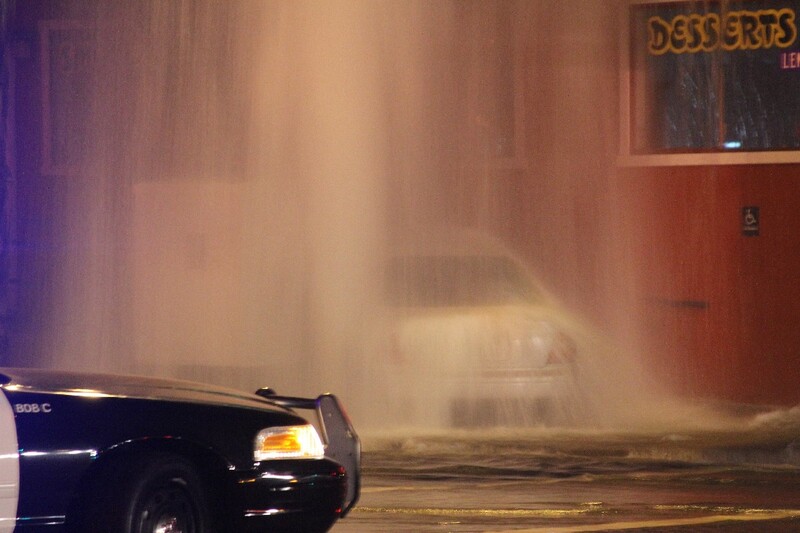 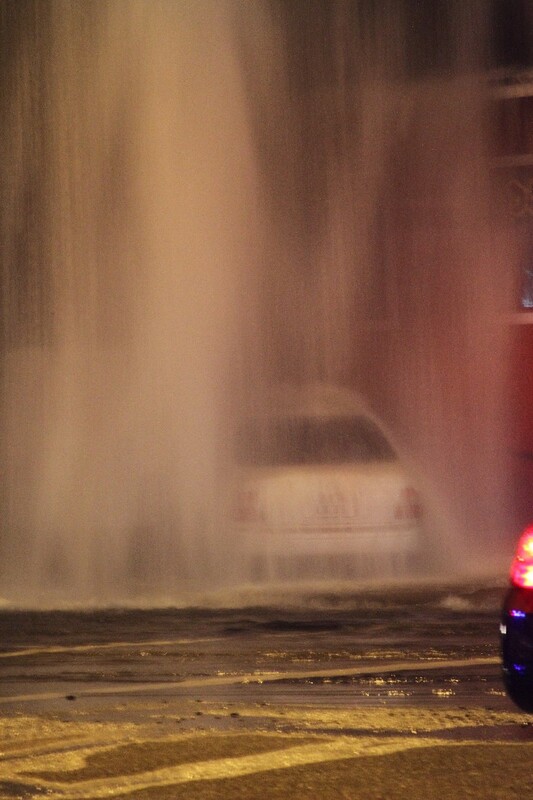 Firefighters shut-off the fire hydrant from the street then police officers cleared the car. 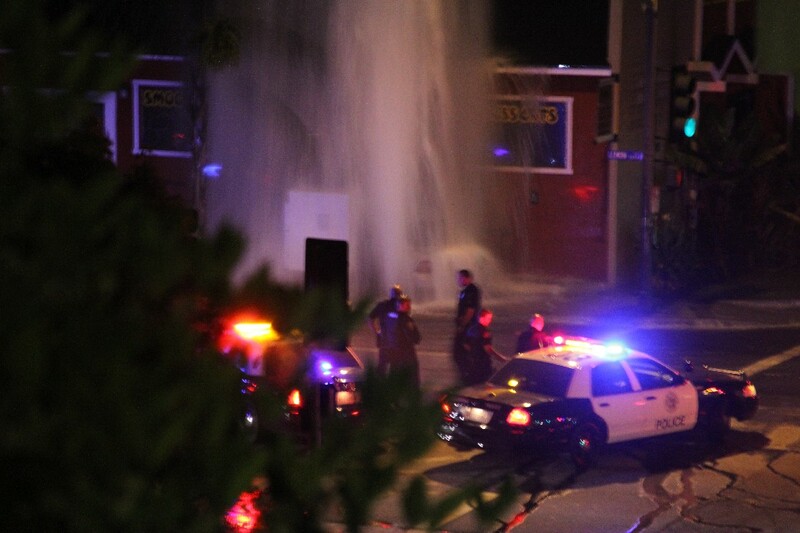 No word on the occupants of the car. 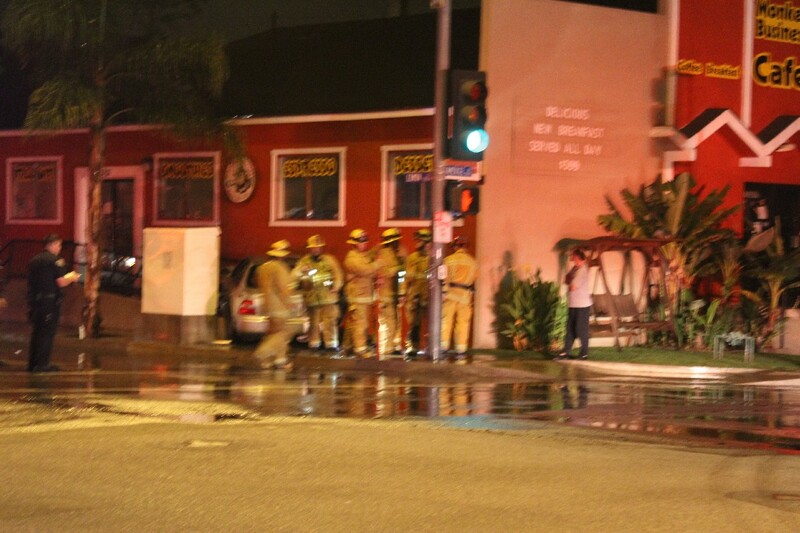 The café is a non-profit serving healthy choices to the community while helping children in need. 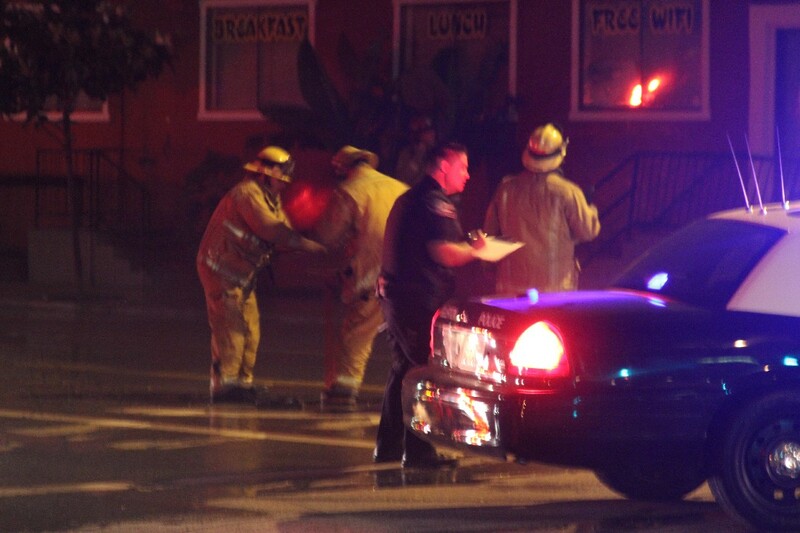 Damage to the café is unknown.